Over the years I've been blessed and encouraged by the hymns written by Fanny Crosby, the blind poet and composer. This poem, penned by her early in her life, has always been so powerful in my own life. What a contented woman she was! Oh that I might be able to have that same attitude. 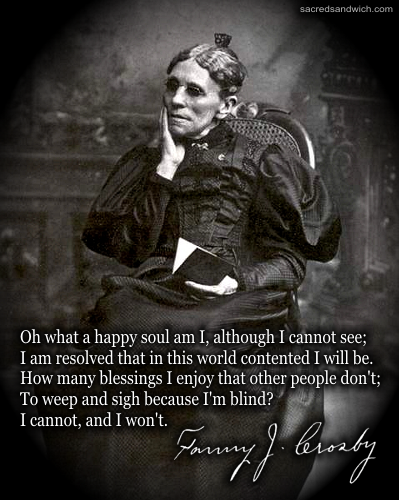 Thank you, Father, for Fanny Crosby!